Leanne obtained her Bachelor of Dental Science degree with Honours from the University of Melbourne in 2008. Prior to this, she obtained a Bachelor of Pharmacy degree with Honours from Monash University in 2002 and is currently a practising dentist and pharmacist. Leanne has recently co-authored a dental reference book 'Therapeutic Guidelines Oral and Dental, Version 2'. 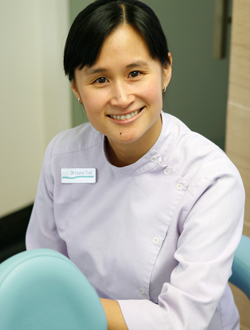 Leanne enjoys all aspects of general dentistry, particularly restorative work. Leanne finds that the most rewarding part of her work is seeing patients with increased confidence after restoring their smile and improving their quality of life. In her spare time, she enjoys exercising and keeping healthy, reading, listening to classical music and travelling.